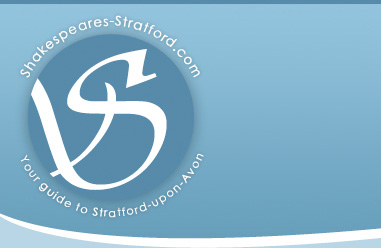 In this, its inaugural year, the Stratford Fringe is shaping up nicely, offering something to everyone - whether you enjoy opera, dance, music, theatre, comedy or visual arts. It’s been a steep learning curve for all those involved in the preparations, but plans are already underway for next year, with hopes for an even bigger and better event. Consultations are being held with artists who regularly travel to Edinburgh, where – let’s face it – they really know how to put on a Fringe Festival. Stratford has welcomed many artists to the town for this week’s event, from local heroes such as Nick Asbury, and author Jo Eames to artistes including Kitten Von Mew, photographer Bo Davies and the Tread the Boards Theatre Company. If you have the chance, get yourselves down to The Embassy Club in Rother Street on Saturday night (12th June, 7.30pm start) for what promises to be a great evening’s entertainment sponsored by Stratford Community Radio, featuring Lewis Cohen Blues, Ian Brambles with the Brambles Band and Adrian Styles and Earl Grey. With a growing culture of festival events in Stratford, the Fringe is a fantastic addition to the mix. From Shakespeare’s Birthday celebrations to the River Festival, the Food Festival and the Literary Festival we are never far away from a thoroughly good time! Another success for the Stratforward Team! Well done.